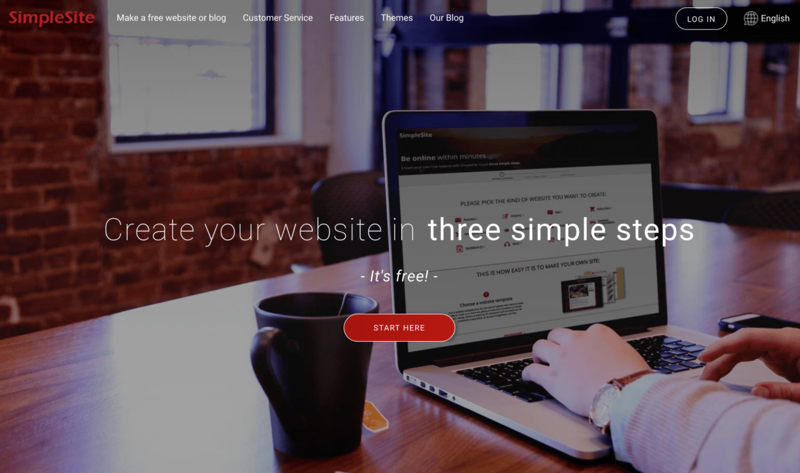 SimpleSite Builder Review: The Simplest Way To Build a Website? We Test It Out. Intimidated by the idea of creating your own website? You won’t be after reading our review of SimpleSite, an easy-to-use site builder designed for inexperienced users. Find out if it’s right for you. Do you want to make money with your own website? Well, that’s probably not going to happen with SimpleSite. And that’s the point. So many people are interested in building simple websites for things like weddings, community events, and family blogs. Overall, you shouldn’t have to pay to get online for something like this, and that’s why SimpleSite has developed a website building environment for the simplest of sites out there. Can I Add a Blog or Online Store? What Features Can I Expect from SimpleSite? 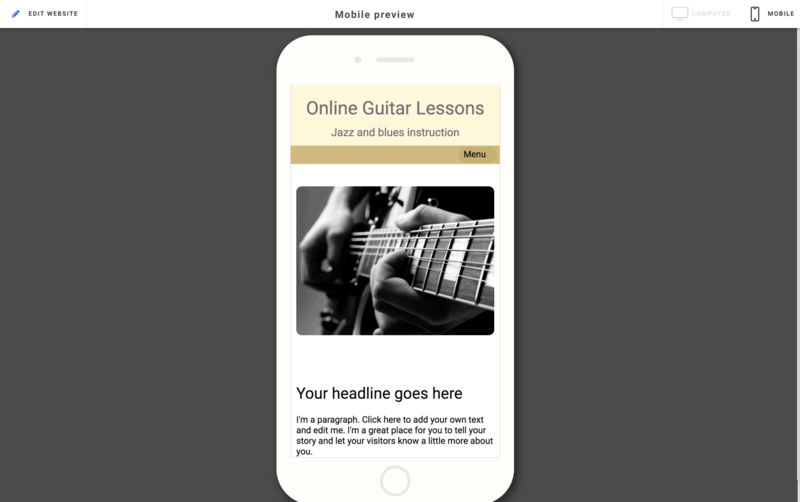 Mobile Responsiveness: Will My Website Look Good on a Smartphone? What Does 24/7 Support Really Mean? What Makes SimpleSite Stand Out? Is SimpleSite the Right Site Builder for You? How do I learn to use SimpleSite? What SimpleSite website designs can I choose from? The SimpleSite company was started in 2003. Two brothers, Morten and Jacob Elk, founded the company in Copenhagen, Denmark. They used a combination of lean business principles and a scientific approach to data in order to develop one of the most advanced free website builders in the world. The SimpleSite website is simple to navigate — in keeping with the company’s reputation for simplicity. The company thrived upon launch, and it eventually made an English speaking site one year after the company started. This version was primarily targeted to companies and organizations in the United States, but people from all over the world have access. When 2012 rolled around, the SimpleSite brand received a large Series A investment to expand into an international company. The expansion moved quickly, with language versions launching in dozens of countries like England, Scandinavia, Spain, France, Italy, Holland, and many more. In 2015 SimpleSite introduced a free plan (although it requires that you allow ads to be displayed). So, it seems that SimpleSite has managed to figure out alternative ways of making money. They obviously make money by selling domain names, and this might be one of its biggest cash cows. The Pro and E-Commerce plans offer more options and come ad-free. SimpleSite states that 400,000 new users signup every month. Furthermore, over 20 million have made sites with SimpleSite since the company began. SimpleSite has a mission of keeping the user interface as simple as possible. The brand has ingrained this mindset into all of its employees, and you can tell that the user interface has seen improvements over the years. Not only that, but the SimpleSite builder rivals that of many other premium website builders on the market. So, they’re doing a good job of following that mission. Video above: This SimpleSite video provides a quick overview of how easy it is to create and launch your site. The primary offering from SimpleSite is the website builder. It’s a wonderful tool with beautiful templates to get started with your website. As mentioned, three different priced plans are available, starting with a free option. SimpleSite also sells domain names, so you’re not stuck with some subdomain that associates you with the website builder. These subdomains are common in the beginner website builder space, so it’s refreshing that SimpleSite actually makes an effort to provide this aspect of a professional-looking site. Yes. Along with the website builder, you receive several features built right into the system. For example, you have the opportunity to make your own blog or e-commerce store. None of the features are going to be as powerful as something you might build on WordPress or Shopify, but it does empower small businesses to engage with customers and take advantage of the internet at low cost. Other than that, there’s not much more to the SimpleSite brand. You signup for an account, get your website running and use all of the tools given to you. The domain name is selected in the signup process and you don’t have to hit the Publish button until you’re completely ready. This video is an example of the “how-to” tutorials you’d use if you purchase a SimpleSite plan. One final thing that comes with your SimpleSite membership is access to email support. Most free products don’t provide customer support like this, considering you usually need to pay in order to speak with someone. For instance, free WordPress plugins usually only have a forum of some sort so you can speak with the developer in a more public setting. That’s not the case with SimpleSite. As you may have already noticed, SimpleSite is about as affordable as it gets. You don’t have to pay a dime to get your site up and running, and your website isn’t plagued with absurd ads. When a potential user lands on the SimpleSite website they can click on the Start Here button to begin the process. A rural town hall, fire department, or other small town entity. Given that there’s a free option, you might assume that the builder is watered down compared to something like Wix or Weebly. Of course, you won’t get all of the features you would with a paid option, but SimpleSite is actually impressive. For example, you still have the option to create a small e-commerce store and collect payments from customers. Although you’ll have to pay processing fees –as is common in e-commerce — it’s cool that the functionality is there. We were able to create a SimpleSite website in just a few minutes. From your dashboard, you can choose to preview your site on a simulated desktop or mobile screen. This is the mobile preview: it’s scrollable. Solid design options: this includes the ability to change colors and backgrounds, making your website reflect the branding of your company or organization. Hundreds of templates are provided through the SimpleSite interface, so you can grab one of those and launch a site within minutes. What’s more is that the customization tools are simple enough to make adjustments whenever you want. Your own personal domain name: SimpleSite allows for a unique domain name for an extra charge. This improves your branding and helps people find your website. You can share the domain name with other people in your organization for easy access. An online store: most users will find that this is best for selling a few products. However, it does have the ability to support numerous products. Therefore, you can combine the online store with your blog or business website to process small or large payments, it doesn’t matter. The e-commerce features are fine for small stores, but you shouldn’t expect anything advanced like you would from a platform like Shopify. A photo album: the photo album comes in handy for all types of organizations. You might even use the slideshow or gallery features as the main focal point on your site. For example, you could create a beautiful, free portfolio that works on all mobile devices. This makes it much easier to bring in clients without having to pay for a website. A full blog: the blog doesn’t have all of the advanced features you would find in WordPress, but you can publish text, images, and videos, which is pretty much what most blog posts are in the first place. Video support: add videos from places like Vimeo and YouTube. The website builder runs videos easily, so you can welcome your guests with a quick video or decide to have this on your product pages. 24/7 customer service: although you shouldn’t expect too much in terms of customer support from a free website builder, the SimpleSite team is on hand at any time for you to send in an email. Music support: whether you’re making a website for a band or you just want to spice up your blog with tunes, SimpleSite lets you upload audio clips. This is useful for podcasters as well since users can come to your site and listen to all of the episodes in one place. A guestbook: ask your users to sign the guestbook whenever they come by. The guestbook is kind of an old feature we used to see in the early 2000s, but it might be fun if you run a blog. The best use for this would be for a wedding or event website, seeing as how you could collect your RSVPs through that. A contact page: the contact form is implemented automatically for visitors to send you emails. A contact form protects your email address from being pulled by hackers, so all you have to do is punch in your email address so that you can receive all of the messages in the right inbox. These are the primary features, but you’ll see below that quite a few other tools are available. The SimpleSite interface is clean and modern, and the templates get you started on the right foot. Not only that, but you’re not limited to just a few pages. The website builder supports most types of media, it has a full blog and the e-commerce tools serve you well. An example of a Simplesite pre-built template. You can simply swap out the photos and text and customize the colors and fonts as you see fit. For a completely free website builder, you can’t go wrong. You could even test it out to see if you like the templates, then make your decision after that. After you start playing around with SimpleSite, you’ll discover more features that come in handy for niche websites. If you don’t have mobile responsiveness on your website you’re missing out on lots of visitors. Not only does Google penalize your website for not having a mobile website, but your visitors are going to have a tough time reading your content. That’s why SimpleSite works on all devices. It doesn’t matter if a visitor comes to the site on a tablet, computer or phone, they’re able to scroll through the content and see larger buttons and fonts when on smaller devices. The drag-and-drop builder isn’t nearly as advanced as some on the market, but it does the trick for a free solution. This means you won’t have to worry about coding or tricky design modules. It’s a completely visual builder where you drag an item, place it where you want and hit the Publish button. For example, you might want to put a slider at the top of your homepage. If that’s the case, you grab the slider/gallery module, then drop it into the homepage. Then it has tools for adjusting the settings and uploading the images you want. Another example of a pre-built SimpleSite design template. As this template suggests, you could create your own site to simply document and share your personal travel adventures. One of the amazing things about SimpleSite is that it includes several website elements, that on a different platform like WordPress, would require a third-party plug-in to execute (and you would have to find the plug-in yourself, then learn to install it). One of those tools involves social sharing and liking. So, if you have a page or blog post, visitors can like it on Facebook or share the content to other social media platforms. This not only gets the word out about your site, but it improves the way you interact with your visitors. The photo postcards are unique to the SimpleSite system. You can write up a postcard, add an image, sign it, and send it directly from your website. All you have to do is punch in the email of the recipient. Overall, it could work nicely from a travel blog or if you’re trying to send out some holiday greetings. Some websites might benefit from having games. SimpleSite has a few fun games that get embedded directly onto your website. These are useful for making your site more fun and giving your visitors something to do while browsing. They can increase engagement and time spent on your site. Place a map on your site so that customers know where to find you. You don’t need any technical skills to implement this tool, so the only requirement is an address. Five email accounts come with each domain name you purchase. So, you can make an email address like this: [email protected] A branded email address makes your emails look more professional, and you can connect this to any email client of your choice. For example, some people might find that Google Apps is a viable solution. Tip: Planning on email marketing to your website visitors or prospects? Take a look at a new tool, in beta, called Cowboy.io. It enables you to send personalized marketing emails from inside your own Gmail account. This helps get your marketing emails into your recipient’s main inboxes, rather than into their “promotions” folder. SEO is focused on making sure potential customers can find your site during their online search. To increase your ranking in organic (non-paid) results, you have to make sure your site is optimized. SimpleSite doesn’t offer powerful built-in SEO features and this means you will have to put some basic SEO in place. SimpleSite does provide a few easy tips to follow to help you get started with SEO. This includes keyword research. By researching the keywords your customers are likely to use during their online search, you can include them in your content. SimpleSite also recommends getting links to your website to improve SEO and suggests using social media to achieve this goal. The Pedigree feature is another unusual feature only provided through SimpleSite. It’s only made for sites about pets or animals, allowing you to post a professional pedigree. This might show anything from the breed to the gender of the animal. Obviously, the pedigree feature isn’t relevant to all websites, but it’s an interesting tool for those who might need it. As a free website building tool, one might assume that SimpleSite can’t possibly provide quality customer service. However, that’s not entirely the case. As mentioned before, the company offers 24/7 support. What does this mean exactly? Well, you can’t make a call into a support center if that’s what you’re interested in. However, SimpleSite lists an email address on its website for all of your support needs. They also have plenty of FAQs and some blog support articles to get you by if you need an answer fast. Therefore, you shouldn’t expect anything like live chat, phone support, or even an advanced ticketing system. It seems like this might be one of the areas that SimpleSite skimps on in order to keep the pricing completely free. That’s not to say that the email support isn’t up to par, but they don’t have to pay for phone reps or people who sit on the live chat all day. During tests we saw that the SimpleSite support team typically responds in less than 24 hours. They tell you they’ve received your message and that they’ll get to you as soon as possible. It’s actually quite close to what you get for some paid website builder support. Finally, the SimpleSite website has a full blog with interesting articles and updates from the SimpleSite team. For example, you can learn how to make money blogging and even how to choose the right niche for your website. It’s clear that SimpleSite has no intention of limiting your moneymaking abilities, but they do state that most of the people with a SimpleSite website are hobbyists. There’s no free trial but Simplesite’s basic plan is free, for at least a year according to their website. If you can cancel your paid plan within 14 days, you qualify for a money-back guarantee. The primary thing that makes SimpleSite stand out is the fact that it’s easy to use. The only item you have to pay for is a domain name, and that gives you support for several email addresses as well. Though only the paid plan comes with a free domain. Another thing we like about SimpleSite is the feature-set. Most of the time you would have to pay for a full blog, e-commerce website, and tools for inserting media like YouTube videos. You don’t have to go out and find a hosting company since the servers are all provided by SimpleSite. This means you don’t have to worry about your site running slow, and you don’t have to mess with a cPanel in your hosting account. If you’re just starting out, this kind of all in one solution – where you don’t have to search for the right web host – is ideal. SimpleSite takes care of the technical aspects for you. Finally, SimpleSite has a beautiful interface. The company only recently started giving away the website builder for free, so they have poured lots of money into the product when they were charging customers. However, that development hasn’t slowed down, and it’s rather clear that SimpleSite makes a good deal of money and has the investors to support any expansions they would like to make. But you really can’t beat the SimpleSite drag-and-drop interface. Beginner users can forget about coding or messy design modules. Some more advanced developers might even consider the website builder if they want to get a free site without any of the hassles. As with all site builders, you need to think about the pros and cons before making a decision. If you need a free builder option, only need a simple blog or hobby site, or just want to experiment with dipping your foot into building websites, SimpleSite is a good choice. It’s straightforward and allows you to get a site online quickly. Customer reviews were varied, with some customers praising Simplesite’s user-friendly interface. Other customers complained about outdated designs and little customization options. Another common customer complaint was the lack of live chat support. The interface is user-friendly. If you’re a beginner with little experience in web building, SimpleSite is a great place to start. If, however, you’re a developer or need a more advanced interface, this is definitely not the right choice for you. You’d find yourself far too limited to achieve the look you need. We’ve answered a few common questions about SimpleSite. Have a different question? Feel free to contact us! We’d love to help you with your product research. SimpleSite guides you through the process with prompts. On the home page select “Start here” and you’ll see what we mean. Check out the SimpleSite YouTube channel where you’ll find a variety of video tutorials. These tutorials will take you through step-by-step actions for creating your site or store, adding a blog, adding products, and more. You will also benefit from their blog, which is organized to cover a good variety of topics, like blog post writing, business website tips, product features, creative content tips, how to promote your site, tips on website design, and trends. Go to the SimpleSite homepage and click on “Themes” in the navigation at the top. You’ll find a variety of website designs to suit different purposes, like a food blog, resume, restaurant, hobby blog or business. Of course, you can select any design you like and alter the colors and images to suit your business. For example, if you like the food blog design but want to use it as a diary of your ceramics hobby, you may do so. SimpleSite offers 3 plans. The “Basic” plan is free (but comes with ads) and there are two other plans: “Pro” and “E-Commerce” to choose from. As of summer 2018, the prices for Pro and E-Commerce are $13.95 and $28.95 respectively and include all web hosting charges and unlimited pages. You are here: Home > Website Builders: All The Top Builder Brands Ruthlessly Reviewed > SimpleSite Builder Review: The Simplest Way To Build a Website? We Test It Out. Next: Strikingly Review: ‘Make a Website in Minutes’. But Will It Be Professional?